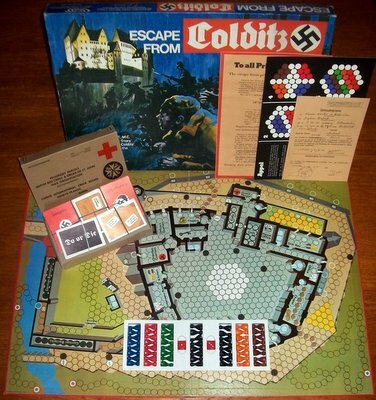 'ESCAPE FROM COLDITZ' BOARD GAME: A family game based on the now legendary escape exploits of Allied Prisoners of War held by the Germans in the multinational maximum security prison of Colditz Castle during the Second World War. The object of the game is for each player (Escape Officer) to be the first to achieve and escape of one or more of his POW team. He can obtain rope, food, compasses, clothing and wire cutters to achieve an escape. At the same time the German Security Officer is deploying his forces to prevent escapes. Devised by Major P R Reid MBE, MC - technical advisor to the BBC television series and author of 'The Colditz Story' and 'The Latter Days at Colditz'. The game is in very nice condition. The box, which shows some signs of storage wear, is in good condition. 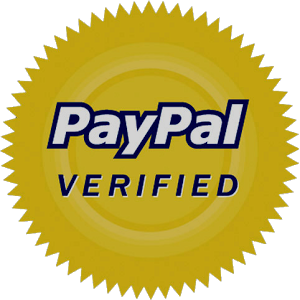 The contents are in excellent condition: none of the cards are ripped or torn, the game board is flawless and the pawns are immaculate. Overall, an excellent example of a classic vintage board game.